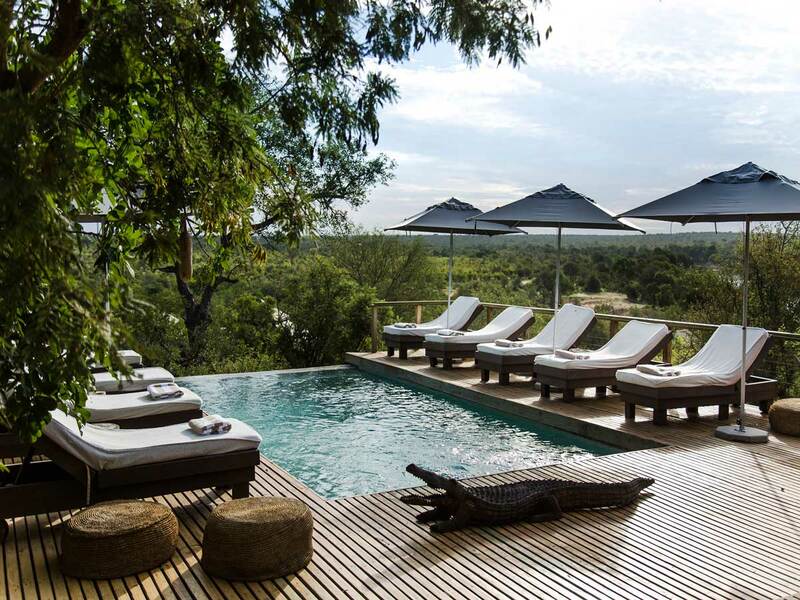 This luxury 6-night safari offers guests the opportunity to explore 3 different regions of Botswana and includes the wildlife highlights of the unique Okavango Delta, the beautiful Moremi Game Reserve and the Chobe National Park. Guests will experience the thrill of flying over these breath-taking wilderness areas via light aircraft transfer. Activities include open 4x4 game drives with experienced game rangers, nature walks, mokoro (dugout canoe) rides and game watching activities. On arrival at Maun airport, guests will be met by a representative and assisted to their light aircraft transfer to Chitabe Camp for 2 nights. Chitabe is purely a land camp and no water activities are offered here. The emphasis is on day and night game drives as well as guided walks. 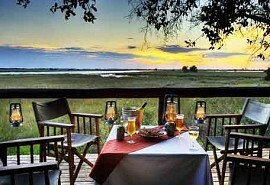 Chitabe (pronounced Chitaabee) is located in a 28000 ha photographic reserve alongside the Moremi Game Reserve. The camp itself is situated on one of the most beautiful islands in the Delta.Wildlife seen here includes Elephant, Buffalo, Lion, Leopard and Cheetah. Wildog are also known to frequent the area. 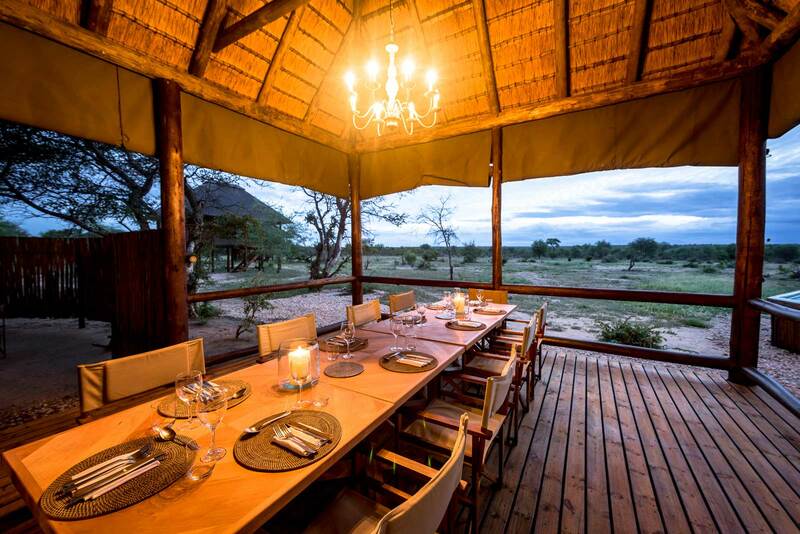 Guests should also see Zebra, Reedbuck, Giraffe, kudu, Impala, and all the plains game. After breakfast and morning activities, guests are transferred by light aircraft to Little Vumbura for 2 nights. Little Vumbura offers water as well as land activities and include, game drives, guided walks, mokoro rides, boating, birding, fishing as well as night drives. Little Vumbura is another of our very small camps. 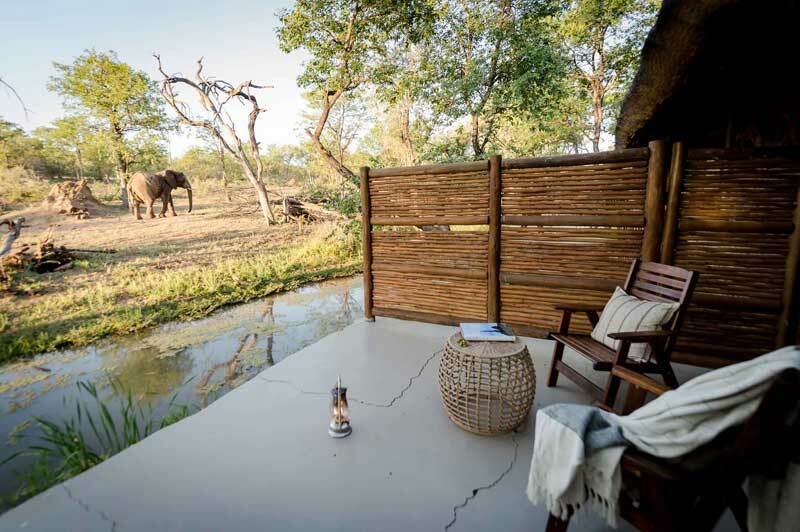 The camp accommodates 10 guests on a wonderful island in the same region as its sister camp, Vumbura, in Botswana's Okavango Delta. Little Vumbura has 5 tents under an enormous canopy of ancient Okavango forest with ebony, marula, knobthorn, garcinia and fig being the dominant trees. Little Vumbura has both the wetland and savannah species of wildlife: Red lechwe, waterbuck, hippos, crocodiles, as well as sable, kudu, wildebeest and tsessebe, who roam the open plains. 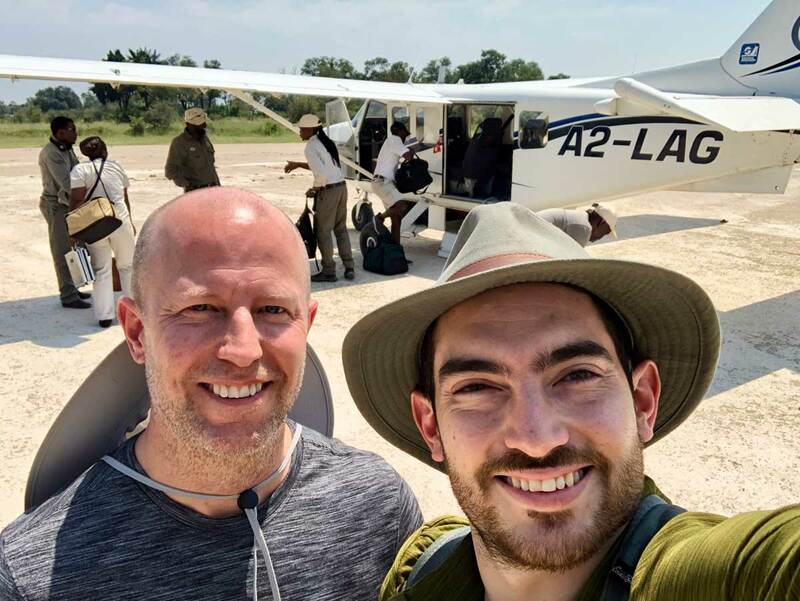 Guests are transferred by light aircraft to Savuti Camp where they will stay for 2 nights. 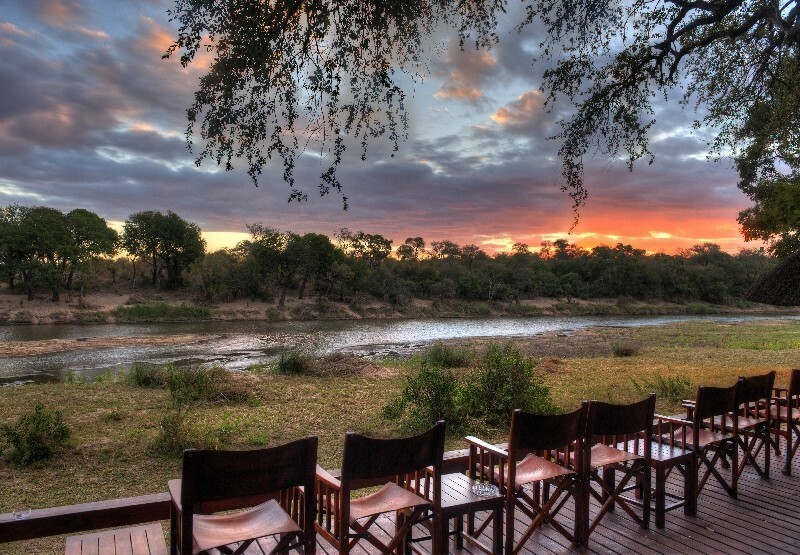 Activities focus on game drives as well as guided walks with night drives being a highlight. 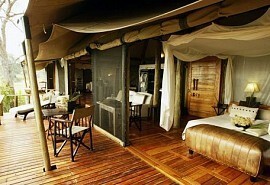 Savuti Camp is situated in the southern part of the Linyanti Wildlife Reserve in Northern Botswana. It is built along the Savuti Channel and can accommodate 8 guests at a time. Accommodation is in 5 large comfortable walk-in tents with ensuite facilities. Game concentrations here are high, especially in our winter months. Besides your normal plains game, the area has good concentrations of roan, sable and giraffe. All the predators occur in the area: lion, leopard, cheetah and wild dog.